This presentation will explore draw on relevant examples using data, predictive analytics, A.I., augmented intelligence systems from the company’s partnerships with oil and gas operators and service companies. This presentation will explore the following points, drawing on relevant examples using data, predictive analytics, A.I., augmented intelligence systems from the company’s partnerships with oil and gas operators and service companies: subsurface workflows, drilling ops management (precision, avoidance of stuck pipe), asset health monitoring and failure prediction, optimized P&A strategies, but also within aerospace: aircraft digital twins, ‘the Conscious Aircraft’, intelligent helicopter pilot decision-support, aircraft landing-gear failure prediction, transport: National-scale rail network monitoring and failure prediction. Ms. Mathis, CEO and co-founder of ThinkTank Maths Limited (Edinburgh), providing mathematics, (predictive) data analysis and AI-based software solutions for ‘augmented intelligence’ decision-support to oil and gas, aeronautics, space, defence, health and banking services. Partnership projects include Smart Cities/Airports, ‘The Conscious Aircraft, drilling accuracy quality control and asset failure prediction. Angela joined the Board of the Scottish Oil Club in 2015. She is a Council member of ADS, UK trade body for Aerospace, Defence, Security and Space, and on the Market and Economics Advisory Group, UK Aerospace Technology Institute (ATI). Her professional history is in international technology commercialization at I.C.I., Nobel’s Explosives (Scotland), Polyurethanes (Belgium), Lucent Avaya (EMEA). She launched the Iomega Zip drive across Europe achieving $600m revenue in 2 years, and led the commercial expansion of PSINet Europe. As rightly said, Liquid Liquid separation is often termed as a “Black Box” in the industry, as, accurately predicting BS&W and the efficiency of “continuous in dispersed” has always remained questionable . Whether engineering a new Coalescer vessel, or debottlenecking an existing separator, full knowledge and understanding of the basic principles involved are required and the design should be treated as a system design rather than an equipment design, as, neglecting the fundamental principle may result into inadequate performance. Often overlooked are the capabilities of properly selected and designed internals for the enhancement of simple gravity separation, location of coalescing equipment’s due to mechanical constraints, residence time as the length needs to as short as possible, velocities of continuous & dispersed phase as the diameters are fixed, potential of fouling due to presence of solid, inversion point etc etc. 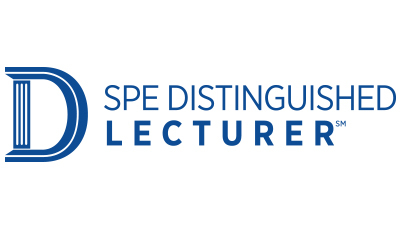 The presentation will cover basic design philosophies involved in properly designing a liquid liquid separation vessel along with some case studies. AMACS specializes in providing solutions for phase separation & mass transfer internals for upstream, midstream and downstream industries. Over 10 years of his tenure, Mr. Turkey's experience with AMACS (previously ACS) includes Process/Applications Engineering, Technical Sales & Project Management and Design Engineering & Drafting. He graduated with a M.S. in Chemical Engineering from the Texas A&M University – Kingsville, Texas & B.E. in Chemical Engineering from University of Pune, India. In this webinar the speaker will show examples of drone acquisitions applied to geology, and share ideas on the techniques and areas of application of this technology. In this webinar I will show some examples of my drone acquisitions applied to geology, trusting that this will be a good opportunity to share ideas on the techniques and areas of application of this technology. In general, I use drones to generate digital models of the topography that can help understanding certain geological features in a more intuitive way. I publish the models in Sketchfab, which I found to be a very effective platform for sharing 3D models. I complete them in different ways, by adding annotations, animations, integration with geological maps and sections, interpretation of geological surfaces, 3D printed scale models. The main application that I see for these models is to provide support to the work in the real field, either in preparation for an actual field trip, or as a means of sharing observations on a remote location. In one case though, I have used a model not just as a 3D display, but rather as a digital dataset to test geological concepts in a more rigorous way. The areas of acquisition of my models are mostly from Spain although one model is from the Venezuelan Andes and another one is from the SE coast of Italy. Finally, another model is related to an archaeological topic. Mr. Rocca is a geologist in petroleum exploration, focusing on regional geology, data integration and prospects evaluation.He worked with ENI (Italy), Halliburton-Landmark (Nigeria-Angola), and Repsol (Spain-Venezuela). He is an enthusiast in electronics and remote controlled models.He has been practicing drone flights, images acquisition and photogrammetry since 2015.Mr. Rocca is interested in using the information from drones to help understand features in the landscape related to geological processes. Saudi Aramco has been drilling horizontal and multilateral wells to develop gas fields. Due to production-induced decreasing reservoir pressures along with tight nature of the reservoir rock, development activities have focused more in placing wells towards the minimum horizontal stress direction and complete with multistage hydraulic fracturing aimed to improve lateral reservoir contact enabling higher production at sustained rates thereby increasing recovery with less number of wells to be drilled. Horizontal wells drilled in the minimum horizontal stress direction are more challenging due to complex geological conditions and compressional in-situ stress conditions. The data shows that some wells were drilled without major difficulty while some other wells encountered more problems leading to stuck pipe events. A detailed study was conducted to identify the nature of these problems and ascertain major controlling factors for this variable drilling experience to make future operations safer and more efficient through recommendations based on a diagnostic analysis of the observed problems in existing wells. Analysis of data suggests that excessive borehole breakouts and faster rate of penetration (ROP) are the key contributing factors to the observed drilling challenges. In addition, differential sticking has been found a potential risk across high porosity and/or depleted zones. As a result, optimum mud weight based on predrill geomechanics model was recommended to manage the hole stability. In addition, a safe limit of ROP as a function of hole azimuth was identified to manage efficient hole cleaning and avoid stuck pipe due to pack-off. The recommendations made based on this analysis enabled successful drilling and timely completion of several horizontal wells across the field. Mr. Khan is a geomechanics subject specialist with Gas Reservoir Management (GRMD), where his role is to assist various aspects of field development activities focused on well planning, drilling, completions and stimulation. Prior to Saudi Aramco, he worked with Schlumberger as a lead geomechanics engineer and regional geomechanics manager in the Middle East with GeoMechanics Internationl Inc. as a geomechanics specialist and with KFUPM as a geomechanics engineer. During his 20+ years of experience, he managed and technically led several consulting projects on geomechanics aspects of reservoir management and field development. He earned a MS degree from KFUPM in geomechanical engineering. Automation - How Can Good Go So Bad? With the implementation of new technology on deep-water units, there have been huge strides made towards a safer and more efficient way of drilling wells. However, with the introduction of these advancements different challenges also arise. In fact, as new technologies are introduced, the more important team skills, or Crew Resource Management becomes. With the implementation of new technology on deep-water units, there have been huge strides made towards a safer and more efficient way of drilling wells. However, with the introduction of these advancements different challenges also arise. In fact, as new technologies are introduced, the more important team skills, or Crew Resource Management becomes. With new technology, teams change and confidence in the new roles and responsibilities can suffer, which can effect communication and ultimately decision making. Piggy backing off the success of the aviation industry, at Maersk Training, we've found an efficient way to ensure that teams utilize each other to mitigate human error and more fluently adapt new technologies into their operations is by integrating three pieces of training. Specifically, we focus on merging high fidelity simulations with technical training and Crew Resource Management. This presentation highlights how to best train crews going into operations with MPD. Ms. Baldwin has spent 15 years as a technical instructor and curriculum developer, covering topics as diverse as communications and tracking systems for the International Space Station, blow out preventer MUX control systems, and crew resource management. She has a B.S. in Physics and Adult Education from the University of Texas at Austin, and is currently the lead for CRM instruction and curriculum design at Maersk Training Houston. Her previous employment stops have included NASA and GE Oil & Gas. Mr. Roberts spent over 20 years in the US Marine Corp flying multi-crewed aircraft and instructing air crews on Crew Resource Management. His has lead Marines at all levels of command during his tenure in the Corps. His specialties in the human factor domain center on Leadership and the optimization of high performance teams. Matthew comes to Maersk Training Houston by way of Rice University where he taught Leadership, Ethics, Management, Communication and Teamwork at various academic levels. He has a B.A. in Exercise Physiology from University of North Carolina (Chapel Hill), a M.S. in Leadership from Boston University and a M.S. National Defense/Organizational Development from the Royal Military College of Canada. He is also a certified Crew Resource Management Instructor and Facilitator. My lab has generated micromodels, which are combined with high-speed imaging to visualize asphaltene deposition and transport in microfluidic devices with permeability contrasts, fractures, and multiple phases. The surfaces can be altered to mimic the chemistry and wettability found in reservoir systems. I will discuss how these devices can be utilized to advance our understanding of oil flow processes and design better strategies to address flow assurance problems. Asphaltene deposition is a common cause of significant flow assurance problems in wellbores and production equipment as well as near-wellbore regions in oil reservoirs. Asphaltenes are surface-active and stabilize water-in-oil emulsions by flocculating and coagulating at interfaces. Commercial dispersants have been developed to mitigate asphaltene deposition, but their role on the interfacial properties of asphaltene films is unclear. My lab has generated micromodels, which are combined with high-speed imaging to visualize asphaltene deposition and transport in microfluidic devices with permeability contrasts, fractures, and multiple phases. The surfaces can be altered to mimic the chemistry and wettability found in reservoir systems. I will discuss how these devices can be utilized to advance our understanding of oil flow processes and design better strategies to address flow assurance problems. Dr. Biswal is an Associate Professor in the Department of Chemical and Biomolecular Engineering at Rice University in Houston, TX and leads the Soft Matter Engineering Laboratory. Dr. Biswal’s research focuses on multiphase flow and interfacial phenomena. Research examples include directed assembly of colloidal systems with magnetic fields, nanomaterials for energy, and the understanding and manipulation of microscale fluids for oil processes. She has a B.S in chemical engineering from Caltech (1999) and a Ph.D. in chemical engineering from Stanford University (2004). She is the recipient of an ONR Young Investigator Award (2008), a National Science Foundation CAREER award (2009), the Southwest Texas Section AICHE Best Fundamental Paper Award (2014), and the George R. Brown Award for Superior Teaching (2015). Biswal has authored or coauthored more than 70 peer-reviewed publications and holds 5 US patents/patent disclosures. Content for this webinar is provided by Materia. By registering, your contact information will be shared with the sponsor. This webinar will focus on improving the reliability and performance of subsea insulation & downhole tools with Proxima® thermoset resins. Aegion Corporation will discuss how Proxima filled its unmet needs for high performance thermal insulation for miles and miles of flowline. Mr. Perkins has worked at Aegion Corporation for 10 years. He has over 30 years of experience in engineering, and has worked in a number of areas of oil and gas related fields. He recently led the startup of the new Bayou Wasco Insulation business, a joint venture between The Bayou Companies and Wasco Energy. His current responsibilities include providing global support for Aegion subsidiaries on engineering and technical matters, including technology development, R&D project management and client relationships. Mr. Perkins previously worked at Trelleborg Offshore, IQ Products Company, and Brown & Root. He earned a BS in Mechanical Engineering Technology from Texas A&M University. Mr. Gill is the President and Founder of Mustang Solutions, a consulting, manufacturing and distribution company specializing in the oil and gas sector. He works with companies in the fields of product development, new product introduction, process improvement, operational planning, and business development. With over 30 years’ experience in the oil and gas sector, and half of that time spent at Baker Hughes, he often draws upon his expert knowledge, industry experience, and relentless energy to solving issues. Mr. Gill earned an MBA in International Business from Our Lady of the Lake University and a BA in Management from Southern Nazarene University. 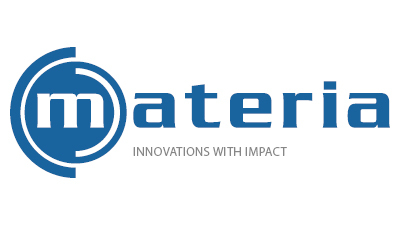 Materia® provides Proxima® advanced polymer materials for the oil and gas industry. Applications include subsea insulation, buoyancy, and downhole tools. The oil industry is in a period of transition during which companies, professionals, governments and academic institutions await what may be a new cycle in oil prices or a complete change in market dynamics due to policies, technologies and CO2 emission regulations. More often, innovation has come up as a common topic either because of process optimization, cost reduction or for disruptive solutions. The oil industry is in a period of transition during which companies, professionals, governments and academic institutions await what may be a new cycle in oil prices or a complete change in market dynamics due to policies, technologies and CO2 emission regulations. More often, innovation has come up as a common topic either because of process optimization, cost reduction or for disruptive solutions. The industry’s production flow segments (upstream, midstream and downstream) projects and product lifecycles have specific technology demands, which compared to other markets, are conservative and slow to innovate and where success is measured in the number of patents. Daniel is Founder and CEO of technology-company, R&D Technologies, which uses technical concepts to settle old challenges such as: solve problems, reduce costs, increase profits, introduce an innovation process and articulate disruptive and sustaining technology at all levels of a company. He is Co-founder of AEC, American Energy Consortium, a global Joint Venture with a mission to leverage knowledge and best practices in the energy market by consulting, auditing, training and performing projects using a global workforce of specialists. Mr. Delfino graduated as a Mechanical Engineer and Electrician Technician. His career began 16 years ago by solving problems and developing technologies for the automotive and subsea O&G industries. Throughout his professional career he has devoted time to studying innovation trends in and outside the Petroleum industry; the dynamics of each industry and how they interact and transform business and society. Daniel is passionate about the power technology has on changing the everyday human experience and life. The oil and gas industry uses static and dynamic reservoir models to assess volumetrics and to help evaluate development options via production forecasts. The models are routinely generated using sophisticated software. Elegant geological models are generated without a full understanding the limitations imposed by the data or the underlying stochastic algorithms. Key issues facing reservoir modelers that have been evaluated include use of reasonable semivariogram model parameters (a measure of heterogeneity), model grid size, and model complexity. However, reservoir forecasts tend to be optimistic – a statement not provable with data in the public domain. Yet, conversations at technical meetings, the lack of industry publications highlighting actual forecast accuracy, the development of more detailed reservoir models (presumably to yield better forecasts), all suggest that the industry could improve its reservoir performance forecast accuracy. For example, dynamic models that use larger grid cells yield optimistic forecasts for some recovery processes as compared to forecasts obtained from models built with smaller grid sizes. Also, the use of stochastic earth models and well placement optimization workflows will likely yield optimistic forecasts. Overall, the impact of cell size, model parameters, inadequate use of analog data, and poorly constrained well location optimization may increase forecast optimism by 5-10 recovery factor units or more. Knowing what workflow aspects may contribute to forecast optimism should enable the industry to generate more reliable forecasts and make better use of capital. Dr. Meddaugh joined the Midwestern State University in 2013 as the RL Bolin Distinguished Professor of Petroleum Geology. He has 32 years of experience with Chevron including technical project management experience on projects in the United States, Canada, Venezuela, Middle East, West Africa, and Australia. He is a member of the SPE, AAPG, and EAGE and is an Associate Editor for the SPE Reservoir Evaluation and Evaluation Journal. He received a PhD in geology from Harvard in 1983. He has authored or co-authored over 30 peer reviewed and SPE technical papers on forecast optimism, reservoir characterization, and modeling. We are presenting a probabilistic approach to proactively adjust drilling parameters (which can be uncertain) in real time to help ensure the actual drilling path overlaps the target drilling path to the maximum extent. We are presenting a probabilistic approach to proactively adjust drilling parameters (which can be uncertain) in real time to help ensure the actual drilling path overlaps the target drilling path to the maximum extent. The planned well path is initially adjusted by a probabilistic formation earth model (EM) for maximum production potential and then adjusted to help improve well path smoothness to allow the passage of tubular strings. 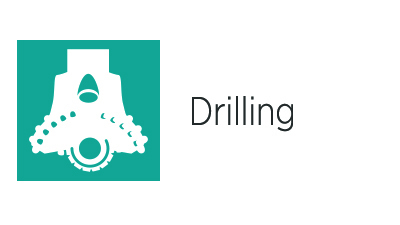 Drilling parameters and EM data can be updated in real time during drilling operations. Statistical methods are applied to quantify the uncertainty of the predicted actual well path. Considering the uncertainty associated with petrophysical properties and drilling parameters, the overlap probability between actual and target well paths was computed and used as feedback for drilling parameter adjustments. This closed-loop feedback process enables proactive control of the actual well path. The drilling path simulation indicates that the trajectory resulting from using this new control method provides better reservoir access and maintains dogleg severity (DLS) at an acceptable level. Dr. Liu works for Halliburton as a Senior Technologist in the Drilling, Production, and Economics group based out of Houston, Texas. He has a M.S. degree in Petroleum Engineering from the University of Houston and a Ph.D. degree in Engineering from Louisiana Tech University. His research interests include down-hole drilling automation, drilling simulation and optimization, and wellbore thermal flow simulation of drilling, completion, and production operations. He also holds a B. Engr. Degree in Materials Science from North University of China.